Looking for a handful of delicious Christmas dessert recipes? You’ve found them! Once December rolls around, I am ready to get my Christmas groove on and start baking! You only have to start baking a couple of these Christmas dessert recipes to get the whole family in the holiday spirit. You can decorate your home inside and out, dress up in your favorite ugly sweater, listen to Christmas music, watch Christmas movies, and nothing will get people in the mood like Christmas desserts. We love eating dessert after dinner on Christmas night, but we also enjoy making desserts and delivering them to friends and neighbors. Who do you know who could use a little Christmas cheer? Include a gift tag with the Christmas dessert recipes right on the package. When do you start baking? Looking for a new recipe? From Frozen Hot Chocolate Cheesecake to Peppermint Truffles, there is Christmas dessert recipe here every family will love. The smell of Christmas baking will fill the house with holiday cheer. 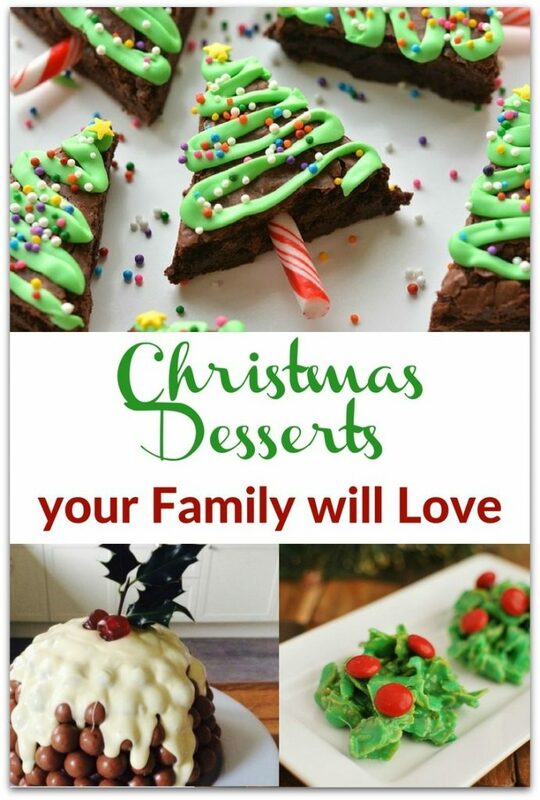 Surprise your family with a couple treats from this list of delicious Christmas dessert recipes! Which one will you make first? Here’s my list of fun and festive Christmas desserts. You’ll find something everyone will love among these recipes. I’m dividing them up so you can find just what you’re looking for. 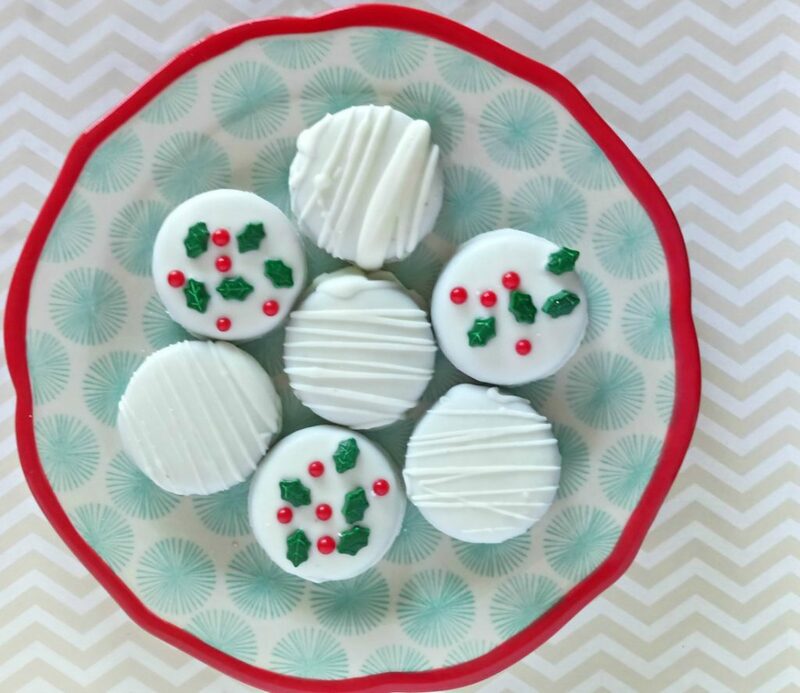 White Chocolate Covered Oreos | Food, Fun & Faraway Places | These chocolate covered Oreos are easy to make, and with the help of the decorative candy holly sprinkles, they look like they are straight from a professional baker! Gingerbread Cupcakes | Le Creme De La Crumb | These cupcakes are so elegant but are not difficult to make. I love serving cupcakes because they are easy to eat and you don’t need forks! Funfetti Shortbread Bites | Cooking Classy | These little bites of deliciousness will be a huge hit with the kids at your holiday party! Santa s Favorite Cookies | Crazy For Crust | This is one of the best recipes for making cookies for Santa! Peppermint Fluff Dip | The Pinning Mama | This is another fun dessert for the kids. Who doesn’t love a dessert that takes 2 minutes and involves marshmallow fluff? 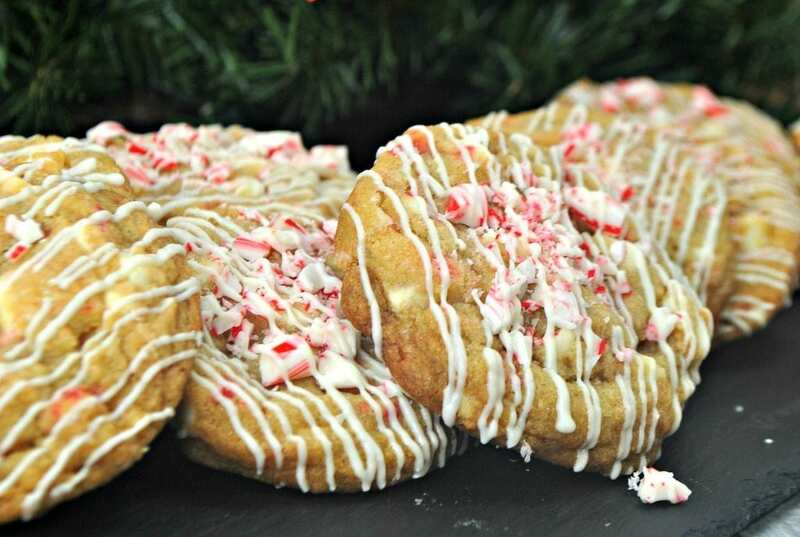 Candy Cane Cookie Recipe | Food, Fun & Faraway Places | This is another pretty dessert for your holiday party, and an easy treat to carry to an event without having to worry about anything spilling. Frozen Hot Chocolate Cheesecake | Chelsea s Messy Apron | Think frozen hot chocolate combined with cheesecake. That’s decadent! 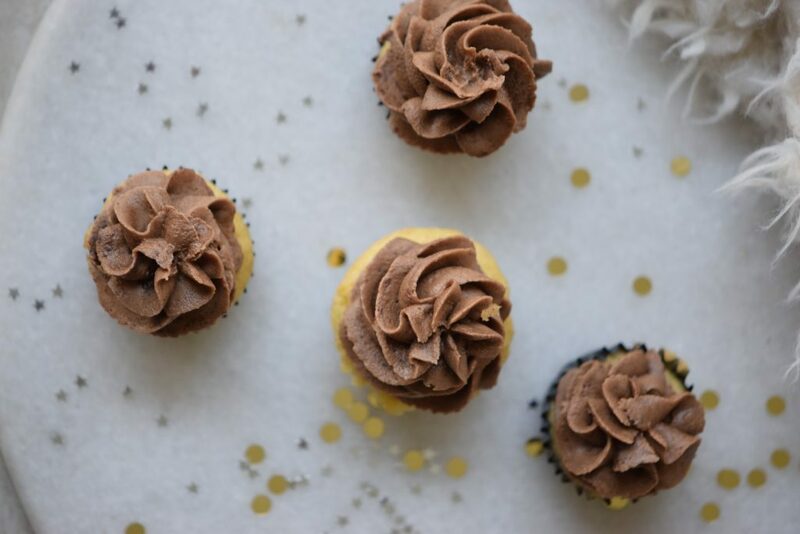 Hot Chocolate Cupcakes | Food, Fun & Faraway Places | Hot chocolate in a cupcake? Yes! And it’s delicious! Christmas Tree Cupcakes | Sugar & Soul | These are absolutely adorable! Chocolate M&M Christmas Cookies | Two Sisters Crafting | Another recipe using M & Ms but with a chocolate cookie. Holly Crackles | Fake Ginger |This dessert is really fun and festive and so easy to make. Hot Cocoa Marshmallow Cookie Cups | Kitchen Fun With My 3 Sons | One of the easiest Christmas dessert recipes to make with the kids! Red Velvet Cheesecake | Recipe Girl | So delicious and festive, this will look pretty in the center of your Christmas decorated table! Looking for more Christmas recipes? Check out these Decadent Chocolate Christmas recipes or this roundup of Christmas cookies. And if you’re on Weight Watchers, check out these Weight Watchers Christmas Cupcakes or Christmas Weight Watchers Cookies.